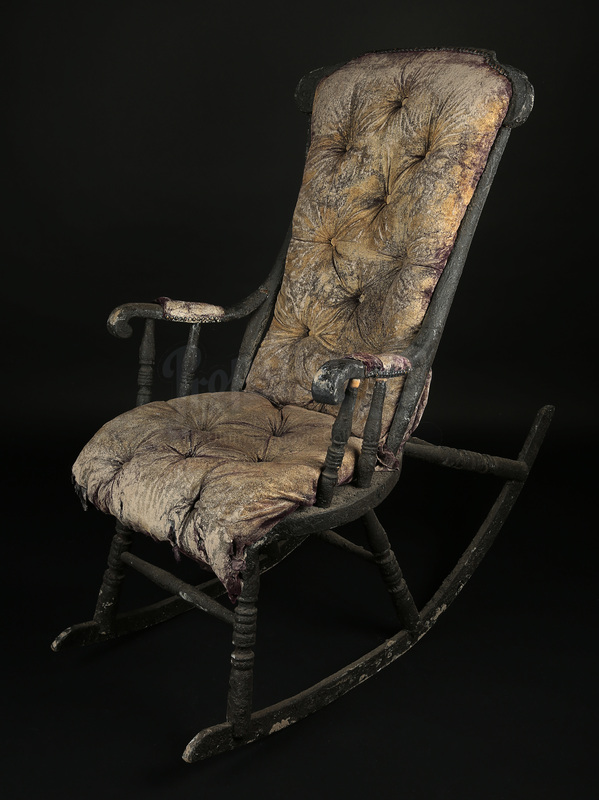 A rocking chair from James Watkins’ 2012 period horror The Woman in Black and its sequel, Tom Harper’s The Woman in Black 2: Angel of Death. 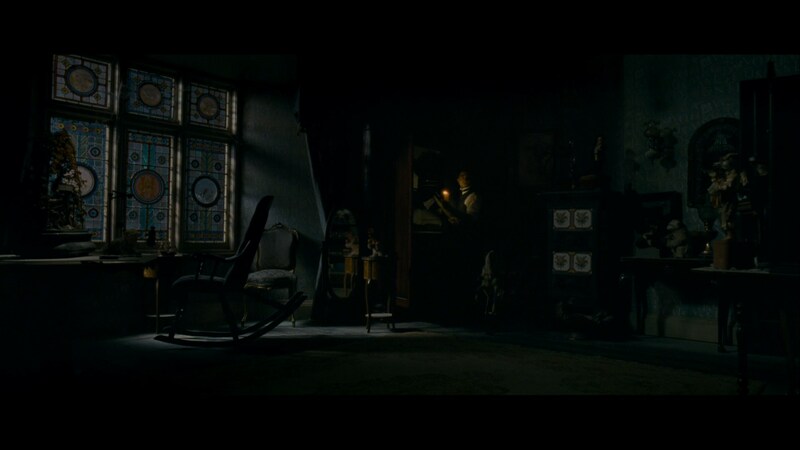 The film follows young lawyer, Arthur Kipps (Daniel Radcliffe) as he travels to a remote village terrorised by a vengeful ghost. 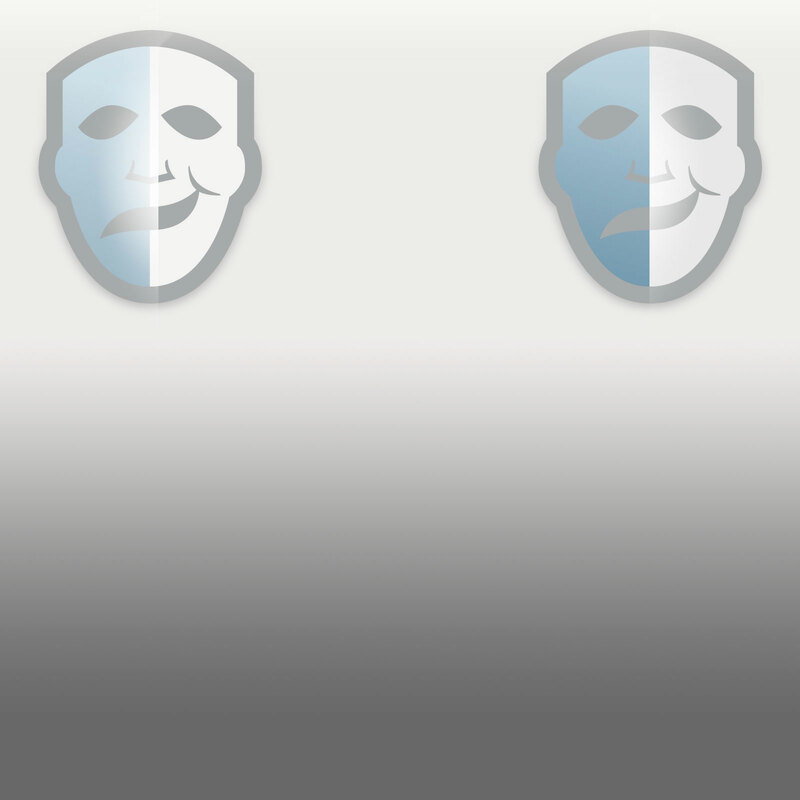 Kipps finds himself in a race against time to discover the mystery of the spectre woman before she takes all the children of Crythin Gifford. 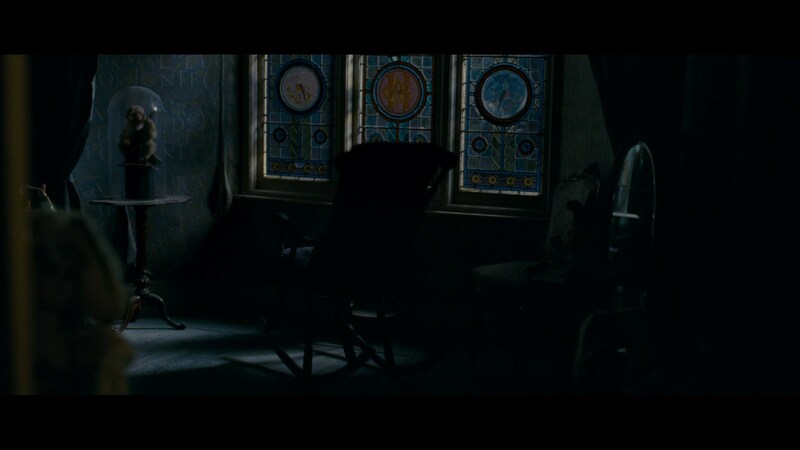 The rocking chair was found in the nursery of Eel Marsh House, most notably when Arthur Kipps (Daniel Radcliffe) began to explore the mysterious house and witnessed a vision of The Woman in Black (Alisa Khazanova) rocking in her chair. 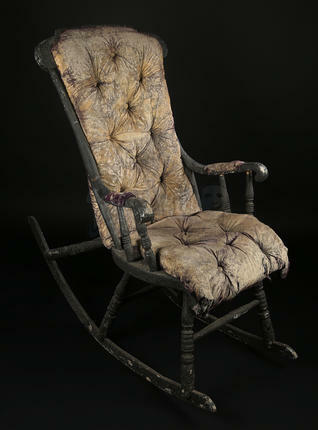 The rocking chair is comprised of a dark-brown painted wooden frame and purple velour padded upholstery. 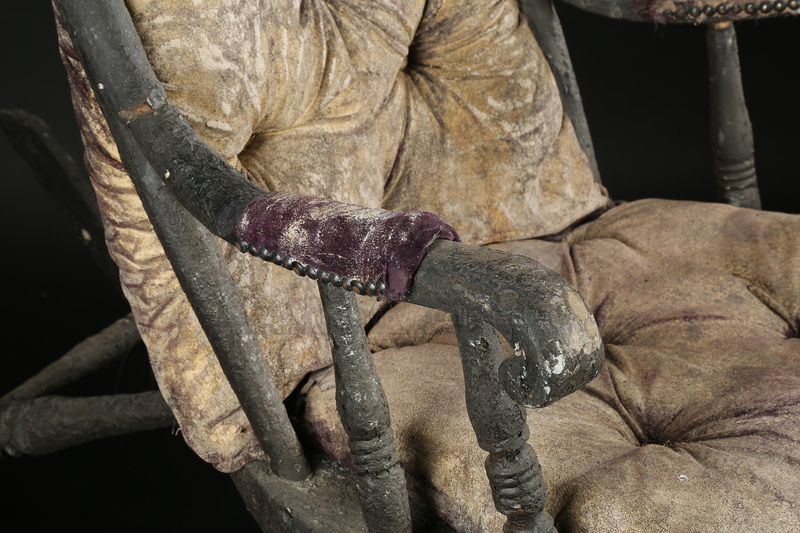 The button-back chair features turned detailing on the frame and velour padding on the arms. 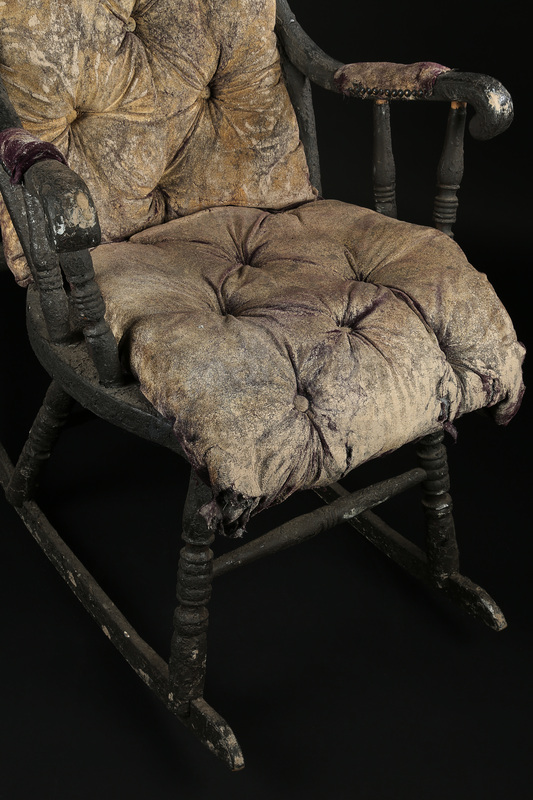 Heavily distressed to appear old and worn during the production of Angel of Death, the upholstery has been covered in artificial mud and mold. The cushion has come loose from the front of the seat and there are chips to the painted frame. 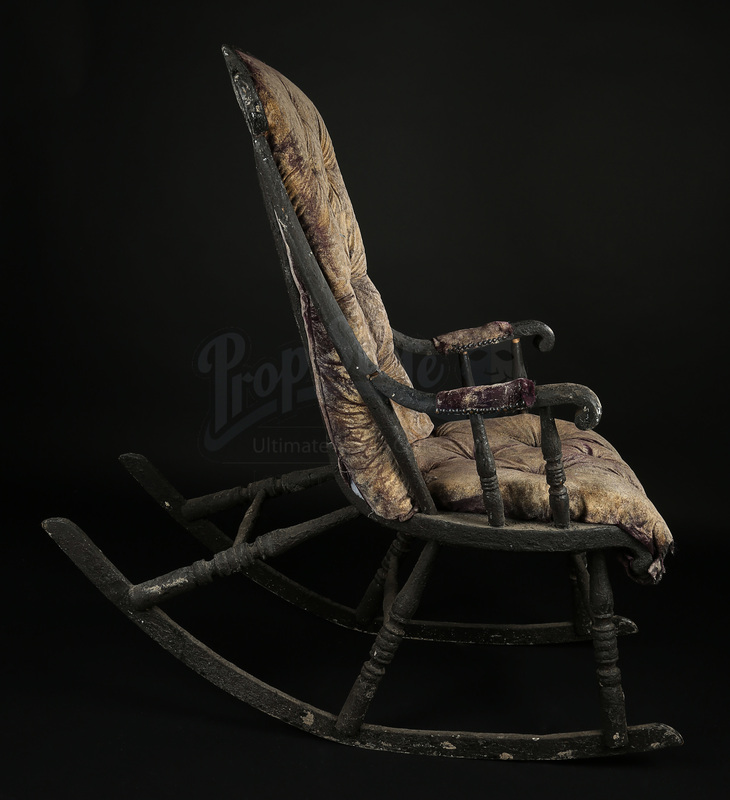 Considering its use on production and the intentional distress, it is in a very good (and very creepy) condition. 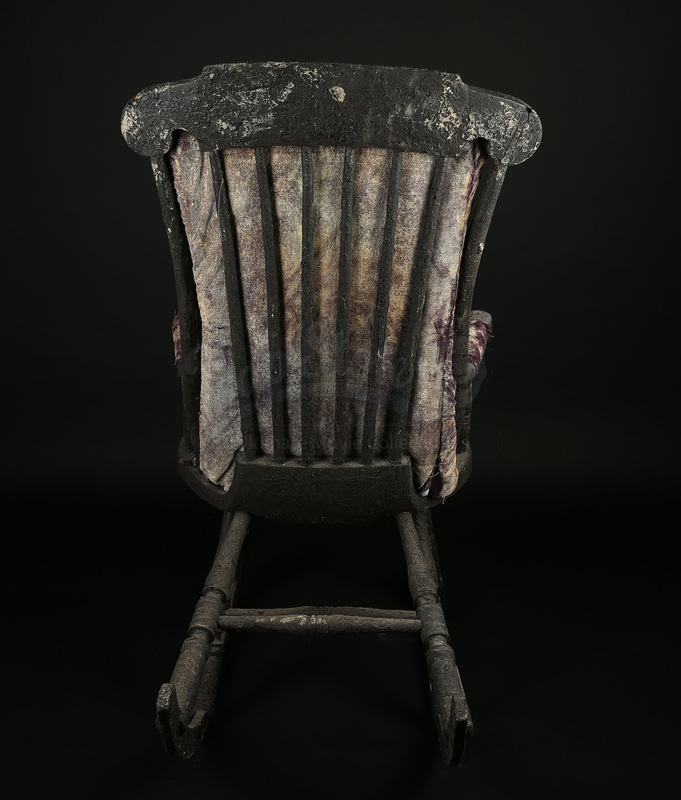 Materials: Wood, Man-Made Woven Fibres, Ferrous Metals.